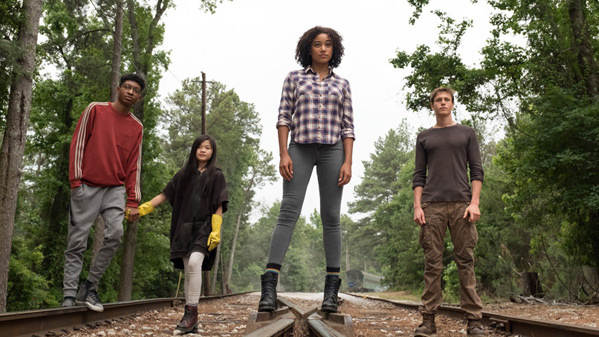 "The more that I try to control it, the more damage that I do…" 20th Century Fox has unveiled the first trailer for a superpowers movie titled The Darkest Minds, the live-action debut of Kung Fu Panda 2 & 3 director Jennifer Yuh Nelson. "From the producers of 'Stranger Things' and Arrival comes the latest YA survival thriller," based on the novel by Alexandra Bracken. Here's what this series is about: after a disease kills 98% of America's children, the surviving 2% develop superpowers and are placed in internment camps. A 16-year-old girl escapes her camp and joins a group of other teens on the run from the government. This stars Amandla Stenberg (from The Hunger Games + Everything, Everything), Mandy Moore, Harris Dickinson, Wallace Langham, Golden Brooks, Mark O'Brien, Patrick Gibson, and Gwendoline Christie. This looks very YA, but it looks cool, dare I say. A mix of Chronicle and The Girl with All the Gifts. For more info on Fox's The Darkest Minds, visit the official website or follow on Twitter @DarkestMinds. When teens mysteriously develop powerful new abilities, they are declared a threat by the government and detained. Sixteen-year-old Ruby, one of the most powerful young people anyone has encountered, escapes her camp and joins a group of runaway teens seeking safe haven. Soon this newfound family realizes that, in a world in which the adults in power have betrayed them, running is not enough and they must wage a resistance, using their collective power to take control of their future. 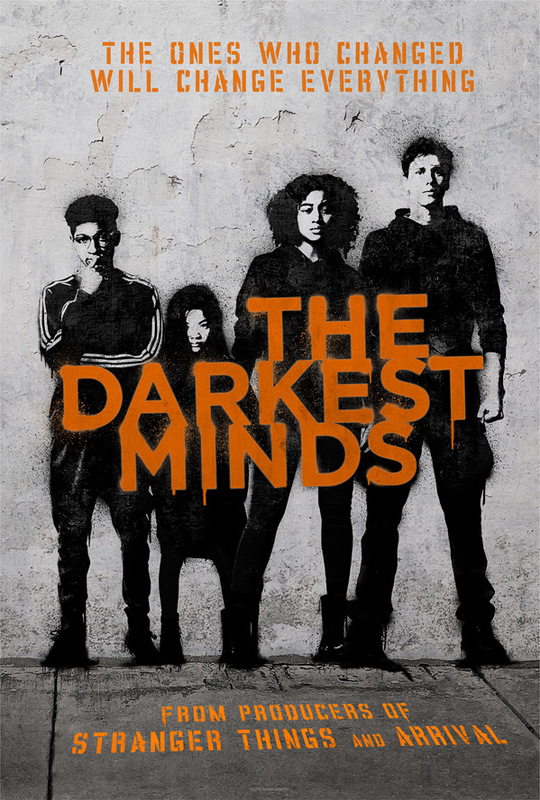 The Darkest Minds is directed by South Korean filmmaker Jennifer Yuh Nelson, director of the films Kung Fu Panda 2 & 3 previously, making her live-action debut. The screenplay is written by Chad Hodge, based on the novel by Alexandra Bracken. Fox will open The Darkest Minds in theaters everywhere on August 3rd this summer.